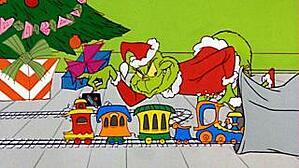 The Grinch is trolling department stores this season in the hopes that he can steal a credit card or two. With consumer’s purchasing behavior straying away from their usual habits during the holidays, it makes it even easier for the Grinch to commit credit card fraud. While credit union members should keep their eye out for the Grinch and his accomplices, they should take some additional steps to keep their accounts secure this season. Here are 3 ways members can allude holiday fraudsters this season. When buying holiday gifts, members' spending will go up and their purchases will likely not fall in the trend of their usual buying habits. Therefore, members should regularly check their account activity. A situation that happens often is those who lose, drop or misplace their credit card while holiday shopping. If a member goes shopping at the mall - spending quite a bit of money on gifts for friends and family, but somewhere along the way they lose their card, someone else can use it to buy their holiday gifts too. In this case, the transactions might not flag as fraudulent activity because the member was making legitimate purchases at the location before the card was compromised. It is very important members check their recent transaction history so if fraud occurs it can be caught early. While many members choose to leave account alerts off, the holidays are a good time to switch them on. Transaction notifications will let members know when their cards are being used. Members are able to review their transaction history and if they weren't the one that made the purchase, quick action can be taken to resolve the situation. Fraud attempts increased 30% during the holiday season last year and according to Experian, identity theft was at an all-time high in 2017 with 1,579 data breaches and 133,015 reports of credit card fraud. While total fraud isn’t expected to reach the heights that it did last year, fraud during the holiday season is still happening. Members need to take the necessary steps and precautions to protect their accounts this season, otherwise, Mr. Grinch might be off to the shops purchasing with their card.